No one becomes a literary translator overnight, it takes years of schooling and maturation. You have to amass different kinds of knowledge, gain insight, acquaint yourself with methods and techniques, and learn how to apply them. Developing an attitude that enables you to persevere and pursue your ideals is part of the maturation process. Obviously, every career takes a different course – so many translators, so many minds. The road to becoming a literary translator is capricious and highly varied. Equally varied are the situations in which translators learn their profession and the training models for literary translators – especially in Europe, where long traditions of translation prevail, but where each country has its own educational system. Some translators follow the more or less official road and learn a foreign language and translating from or into it at university. Other translators learn the tricks of the trade elsewhere. Ask any number of literary translators what kinds of knowledge and skills are required to translate a book, and each will give you a different answer. There is one thing, however, that all of them agree on: their profession involves many different skills. Which skills exactly has never been mapped out systematically, let alone ways in which these skills may be developed or passed on. This is what the PETRA-E Framework of Reference for the Education and Training of Literary Translators (in short: PETRA-E Framework) set out to do. It is apparent that it is useful for both translators and their trainers to gain more insight into the process of learning and training. The PETRA-E Framework gives trainers a handle on how to customize their programmes; translators can use it to assess their proficiency and determine competences to work on so as to raise their professionalism. It is important to note, however, that the PETRA-E Framework describes possibilities, not necessities. It is not meant as something to impose on translators, it doesn’t aim for standardisation. It can be used for self-assessment or as a reference tool for universities, trainers and schools, though it can also serve other purposes, such as providing translators with arguments to negotiate better remuneration. Indeed, the Framework helps users to gain insight into the complexity of translating, which can in turn help to raise the status of the profession. The PETRA-E Framework offers an open, diverse and multi-levelled structure, accommodating various, sometimes even divergent opinions on how to become a literary translator. It should not be used as an instrument for inclusion or exclusion. The PETRA-E Framework contains a competence model, a learning line, and (implicitly) qualification criteria for situations in which competences are to be tested. As a competence model it enumerates the competences – i.e. knowledge, skills, and attitudes – a literary translator might possess in order to be called a [deletion] literary translator. As a learning line the Framework shows the steps and levels leading to the acquisition of these competences. The PETRA-E Framework is based on five levels: a beginners level, an advanced learner level, an early career professional level, an advanced professional level, and an expert level (in short: LT1 to LT5). Although the stages through which students of translation must pass in order to become professional literary translators may vary from country to country – as well as, perhaps, the precise competence level required in each of these stages – level LT1 is mostly reached at bachelor’s or equivalent level. Although introductory foreign-language classes, where the groundwork is laid, are usually taught at secondary school, the education and training of literary translators usually start with translation courses given as part of bachelor’s programmes. At the other end of the spectrum the ability to transfer knowledge and skills (amongst other things) pertains to the expert level LT5. Ideally, an expert literary translator will combine all the competences and put them to work to an optimal degree, but this is relevant only for some literary translators, and not necessarily the final objective of every translator. (Moreover, a teaching position requires its holder to possess didactic skills that are distinct from their qualities as a translator.) University programmes, more and more used to explicitly describing competences in their final attainment levels, might find themselves mirrored in levels LT1 and LT2. The professionalization of the literary translator starts at the more advanced levels; the Framework reveals the philosophy that from LT3 on a literary translator needs further training and education, normally interwoven with the experience she or he is gaining in the professional field. The higher the level, the fewer the descriptors, the reason for this being that each level is understood to subsume the previous levels. At the same time, translators can be at very different levels concurrently (at LT5 for one competence, LT2 for another competence). The Framework is intended to serve as an analytical instrument, i.e. 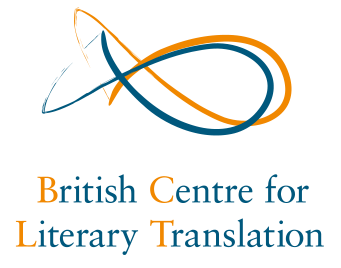 it does not aim to encompass a single, comprehensive ‘literary translation competence’. Instead, it distinguishes a whole range of competences. ‘Competence’ refers [deleted hyphenation] to the proven ability to apply knowledge and skills: all that a literary translator is capable of doing. This implies not only expertise and skills; attitude plays an essential role, too. A competence is therefore a combination of knowledge, skills and attitude. In this respect, the PETRA-E Framework is open to change: new subcompetences might be added to the existing ones when they appear necessary for a certain competence profile.. Whether a competence is seen as a core competence or an additional competence depends on the institutional setting in which it is implemented and on views about the requirements a literary translator should fulfil. Descriptors are used to define the competences for the different levels. These descriptors encapsulate all the things a literary translator should know and (be able to) do at a particular level. The more specific the descriptors, the easier it is to put them into practice. An attempt has been made to keep the number of descriptors to a minimum, also with a view to keeping assessments (if any) practicable. The PETRA-E Framework distinguishes eight subcompetences that together make up the overall competence of a literary translator. The various subcompetences are defined by means of descriptors, i.e. the elements of which a subcompetence consists. The landscape of education for literary translators in Europe is changing rapidly. Multiple initiatives are emerging in the non-academic as well as in the academic arena: workshops, courses, summer schools, long-term programmes, bachelor and master degree programmes in literary translation. No doubt, this will lead to better-equipped, better-instructed and better-educated translators in the future. The PETRA-E Framework aims to help overcome traditional boundaries between the academic and non-academic, between theory and practice. Viewed in the abstract, the competences to be reached are the same for all translators in Europe; the ways and means to reach them are, by nature and tradition, different. If one word could describe the career of a literary translator, it would be ‘unpredictable’. Not many translators start translating while still at school, where they generally take language courses. Some of them don’t discover where their interests (perhaps even their talents) lie until much later. That is when the search for an appropriate course starts. Fortunately, there is nowadays an increasingly diverse range of options. Obviously, an analytical model like the PETRA-E Framework cannot do justice to the individual careers of literary translators, but it may help to provide an overview, both for translators and programme and course providers. The Framework is not intended as some kind of monolithic, one-size-fits-all model, but aims to map as much diversity as currently exists in the field of literary translation. The Framework should allow various users to discern how it can speak to them in particular. Possible scenarios, differing in level, could for example look like this: LT2 would be an early-career translator just emerging from a university formation; she or he has a first degree in modern languages, has just completed an MA in literary translation and is now planning next steps in getting started on a professional career. An LT3 translator did not take the academic route (perhaps a bilingual who got into literary translation ‘by coincidence’) but has already published and is looking for continuing professional development (typically a participant in a summer school or translation workshop in a non-academic institution). LT4 would describe an experienced translator who has become a translator trainer and is planning a course, but who is also considering how her or his own range of competence might be extended to achieve LT5. The PETRA-E Framework in its current shape is based on an enquiry by the Dutch-Flemish Centre of Expertise in Literary Translation. It is also the result of discussions at a number of meetings of the PETRA-E project during which it was continually refined. The flexibility of the Framework is reflected in the fact that some competences may be seen as possibilities, not as requirements. A translator does not need all the competences. At the same time, in a given situation and in the case of a special translation assignment, some subcompetences may be more necessary than others. The Framework does not distinguish between core and optional competences. In the end, all competences are optional, until the individual translator, a training institute or a policy body decides to turn options into rules. The PETRA-E Framework does not aim at standardization; on the contrary, it wants to open up the discussion about the qualities of literary translators by describing their competences in an analytical model. The PETRA-E Framework serves several goals, the main target groups being translators and institutions offering programmes in literary translation. For learners the Framework is intended as a useful didactic tool to determine their level of proficiency and to plan their learning career; the Framework enables them to detect gaps in their expertise and to decide what action to take to fill them. Professional translators can use the Framework to determine what kind of literary translator they want to be: a more practically oriented translator, a more reflective kind of translator who is willing to pass on their expertise, a translator who writes about their profession, and so on. Training institutes can use the Framework as a tool to define the level of the programmes they offer and to design their curricula – i.e. the content of courses, the distribution of the competences in a learning line etc. – whether it be short or long-term educational programmes. Though not developed as a political instrument, the Framework also makes it possible to compare the programmes of various institutes all over Europe. The PETRA-E Framework will be published in a printed version and on the PETRA-E website. Translations in languages other than English will be made available on the website, too. Eventually, the website will contain extra material – examples, references, model courses, tests etc. The full development of the website may be a task for a future project. The Framework will accumulate and increase expertise in the education and training of literary translators. In that respect it will always be a work in progress and an invitation to all those involved in the professional development, education and training of literary translators to give it further consideration. If the Framework succeeds in increasing the collaboration between various European programmes and course providers, it will help to strengthen the network surrounding training and education in the field of literary translation and, as a result, contribute to the level appropriate for a flourishing European translation culture.